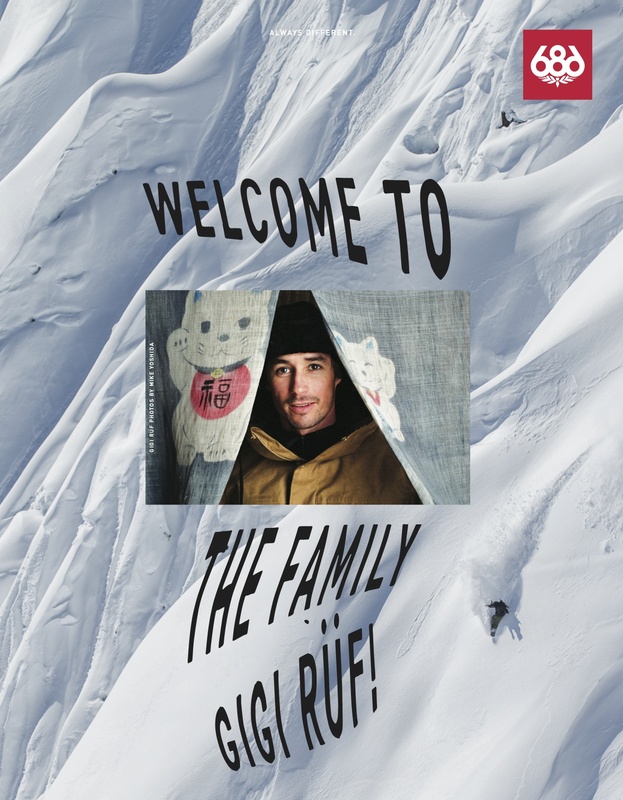 Known over the years for their ground-breaking brand collaborations and intuitive product design, 686 are one of snowboarding’s best loved stalwarts. 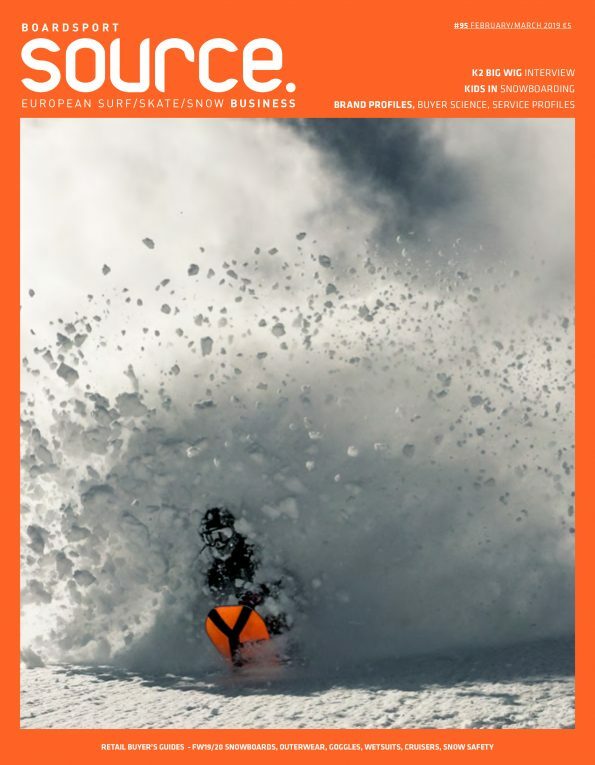 Brand Founder, Mike West is a man synonymous with the snowboard industry and at this winter’s Shops 1st Try on snow demo, SOURCE Editor, Harry Mitchell Thompson sat down with this industry legend to talk shop. Read on to find out about Mike’s beginnings where a university lecturer changed his life by telling him he could make his passion his job. We span the years with Mike (27 winters to be precise), touching on key brand moments, including the origin of the brand name (formerly known as Jib 686) and inventing their best selling product from the past 20 years – The SMARTY Pant – out of necessity on a frigid trip to Lake Louise, Canada where he experienced proper cold for the first time. 686 opened their doors to skiers three years ago, a move Mike says just wouldn’t have been thinkable 20-30 years ago now, but the LA local talks us through the reception they received from the snowboarding industry and explains how this move, and others, are just a further extension of the brand’s identity. We also covered Europe, a market Mike says they are “still learning” in. European Marketing Manager, Pacome Allouis talks us through the theory behind their recent elevation in the region and with signings such as hyped riders Gigi Rüf and Victor Daviet as well as attention to detail with retailers, none of this success has come by chance. VP Marketing, Brent Sandor summarises their eco game and Mike concludes with his views on the future of trade showing. Could we start off with your history? Mike: I have no formal design experience. I was an instructor in the mountains, so I taught snowboarding for a long time, but before that I was a skateboarder. I came from skateboarding, to snowboarding at the craziest time. In the late mid-eighties there was a whole growing street skateboarding vibe in California, and I was involved in that. I used to go to Venice Beach and that whole area where there was a lot of style and angst happening on the streets. It was really interesting. I went from there and I got a job at Bear Mountain in 1989-90. There was a movie called “The Hard, The Hungry, and The Homeless”, which was all about jibbing, bonking and buttering, crazy stuff. I was witnessing that and it was such an interesting time. I saw my friends, professional skateboarders, become snowboarders. We’d find rails, little jibs, and side hits and I thought it was all just so cool. This was all going on while I was at university and one of my teachers asked me what my business plan was. I liked snowboarding and the idea of snowboarding clothing really excited me. I didn’t know how to make clothing, but I was willing to learn. I started my business during my stay at university in 1992. Has it been called 686 from the word go, and where did the name come from? It was called Jib 686. We dropped the Jib in 1995. There’s an old school snowboarder named Dave Downing, he was a Burton rider, and he gave me the name Jib. It was just a really local, cool expression at the time and so we thought, “hey, call it Jib… it’s cool!” But after a couple of years we realised that the Jib part of the name was just a little too local, so I decided to drop that part from the name. What did the numbers signify in 686? It was two things. I was 20 years old when I started it, so six plus eight plus six is 20. And then it was June of 1986. That was a time when something happened to my grandmother, so I literally said, “I’ll just call it 686.” But we didn’t tell people what it meant for about 15 years. Tell me more about your university studies. How did that link with snowboarding? Studying Business Entrepreneurship at University of Southern California, the thing that really changed my life was a teacher telling me I could actually have a career where I could make my passion could my job. So I thought about it and it seemed ideal to be able to go to the mountains and hang out with my friends while working on my business plan about snowboarding. Steve Klassen owned a store in Mammoth called Wave Rave and he had gone to my school before me. He came to give a talk to a class I was in and I showed him some of my products – a hat and a beanie. He thought they were cool and asked me to send him a catalogue. So I had to make a catalogue for the first time and then he ended up being my first retail customer. After that, gradually got more involved with cut and sew. I wanted to learn how to make patterns, and started to get fabrics from the local markets in LA. Back then it was way different to how it is now. Nowadays we have samples and tech packs, bill of materials and the proper way of doing things. Back then I had to do every aspect myself from cutting, sewing, posting, finding team riders, advertising – the lot! I transitioned from hats and beanies to denim. I made denim pants in a factory in Mexico. I didn’t know what I was getting myself into, but I learned as I went. Back then there was no understanding of waterproofing, breathability or moisture wicking etc, I’d just go with whatever looked cool. Whatever was going to remind me of skateboarding. In my third year at uni, back in the States I made my first snowboard jacket. I got waterproof fabric from Oregon. I got my fleece from, what’s now called Polartec, but back then it was called Malden Mills. Back then the fits were ridiculously wide, but people loved them. I didn’t do trade shows until probably six years in. I just kept at what I was doing until I happened upon the product that really made us take the next step, our SMARTY 3-in-1 Pants. 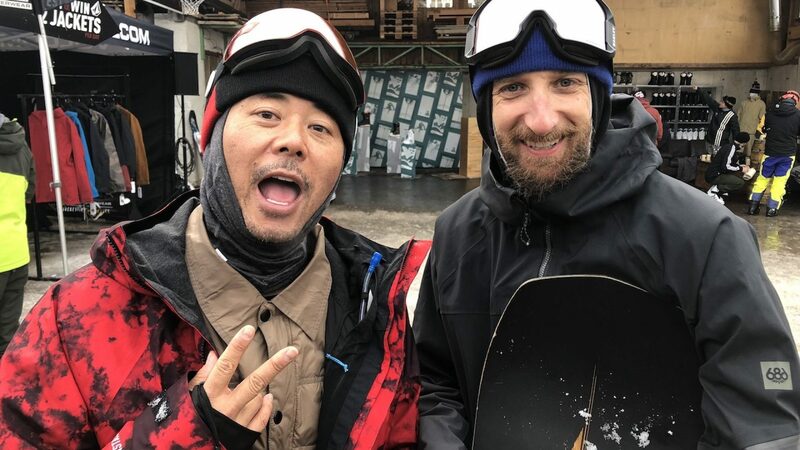 There was a conference called the TransWorld Snowboarding Conference, and they invited all the luminaries from the industry and I went the year it was at Lake Louise, Banff (Canada). And there was me in my shell pant and fleece. I had no idea what actual cold weather was until then. That made me realize that you need to layer. So I got fleece pants and put them underneath our shell pants that we were making to keep warm. When I returned to LA, I put Velcro around the waist of the fleece and shell to keep them fixed together. I remember sewing the Velcro on the waistband, sewing it on actual sweatpants that I bought, and putting it together. This meant that they’d keep you warm and then after riding that you can take off your pants and you can wear the liner. That was the start of our SMARTY 3-in-1 series. And 20 plus years later, it’s still the number one product that we sell, by volume. How’s the relationship with Westlife Distribution now? Westlife Distribution is the parent company and an operating company shell. We have a few brands, 686 being the main brand that we all work on. We purchased Matix six years ago, but now license it out. We have a new accessories brand coming out soon in North America called Westwell under Westlife as well. Everything we work on is pretty much 686, which is traditionally a seasonal winter brand, but we are gradually testing year round on technical apparel with our Everywhere and Anything technical pants – which will end up being two of our top selling styles by volume this year. Our style has always been being proud of where we are from – from the city to the mountains. Will you move into summer categories at all? I think for us to do something it has to really make sense for us. We are the customers. We’re the users. We’re not going to do something just because it’s trending. We have to endorse it ourselves. The cool thing is that as a brand, our employees are into a lot of things. We’re not just into snowboarding. We’re into active stuff; climbing, hiking, camping. We actually surf too, but we’re never going to be a surf company. That’s not what we want to do. Anything that we make has a performance aspect, moisture wicking etc…, that makes sense for us as a brand. Surf apparel is highly technical, but the properties are just not us. We’ve been able to have success because we haven’t followed the same road as others. And I don’t think you need to do that (follow others to be successful). You need to be really true to what you’re about. How has the move into ski been? When I grew up it was always “us against them.” I’m not saying we didn’t like skiing, but, it’s not who we hung out with. But nowadays I think we are all kind of the same. We all dress the same, we act the same. So, it was an easy transition. Brent (Sandor, VP Marketing) was really the catalyst for making us look at that. We did it at a time (three years ago) that it was just right because we weren’t following and we were doing our own thing. We haven’t said we were going to take a huge ski presence, we’re just doing it our own way. Organically. You’ve had some big moves on the team with the addition of Gigi Rüf and Victor Daviet; what are the next moves in Europe for you guys, marketing-wise? Pacome (Allouis, European Marketing): Our idea, and whole concept, is really using these professional riders to be a part of the journey with our customers and retailers. 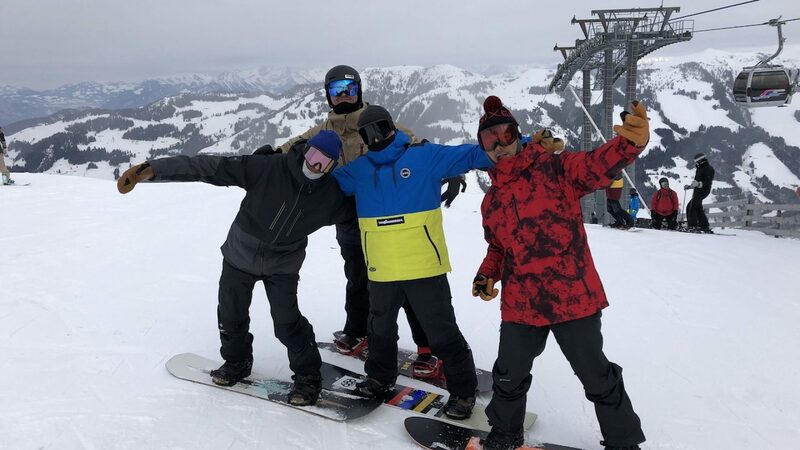 We had good success at the Rock On (consumer demo) at Avoriaz (FR) and Gigi was there for three days riding with our retailers, customers and media. Gigi and Victor are really loyal guys and they understand these marketing commitments are 100% part of their job. We would like to move more into experiences with out marketing. 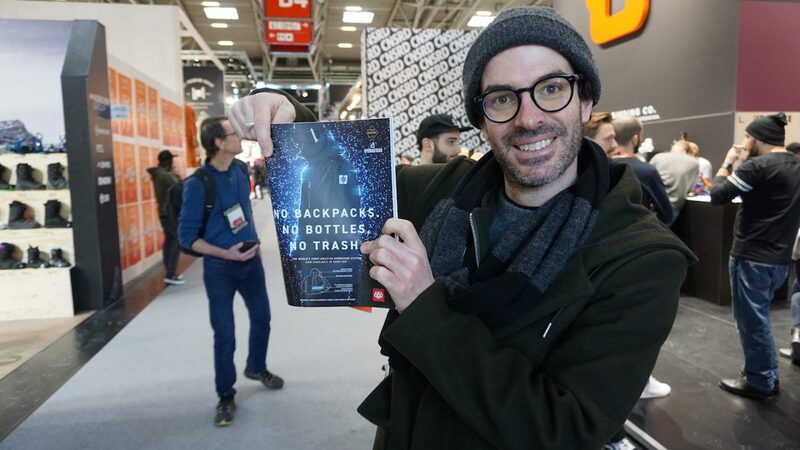 We see a lot of brands just doing marketing for the sake of marketing, but I think with 686 we really want to collect feedback from the slopes and from the street, which is important. It’s what we are did at Shops 1st Try for example, inviting our key retailers, spending a day with them on the slopes talking about the product and marketing. We think this way retailers will understand more and find out more about the brand, and it enables them to see what we’re up to next. We try to work really closely with the US on all strategies. For sure, Europe is going to be different because we have different regions and languages here and also a different lifestyle as well, but overall the strategy is global. The brand is really investing in product, in team riders, and in media. We believe advertising for the sake of advertising is pointless and I think consumers and retailers with all the frustration they’ve had due to the global financial crisis, are now looking for something fresh in their experiences. And this is where we are. We are smaller than other competitors, but two years ago we added Victor Daviet to the team and then Laurent De Martin and this year Gigi Rüf. Every year we add new talent and update the products into our range. People are becoming really attracted to 686. And also having Mike here (Shops 1st Try), the brand founder going riding with retailers, having a couple of beers and Schnapps – it just really shows people who and what the brand is. I think that relationship, experience and education is the key to success for us. Mike: Consistency is really important. This is our 27th season. We have always been a brand that doesn’t speak the loudest, but we want to have products and team athletes that are consistently pushing in one direction. Historically we have always been a product first company. For us Europe is our strongest emerging market because we haven’t “popped” in Europe yet. In Asia and North America we are really leaders in those markets. In Europe, we’re still learning. What Eco-Stories are you telling or working towards? Mike: We did our Reclaim Project for many years and that has been our activation, which is true to us. It’s basically up-cycling. Instead of just saying, “hey, we have recycled this.” We instead look at the whole process and see that collectively it’s our job to minimize our carbon footprint, and from there you have to really pick the shortest road to get there. For now we have certain recycled products and fabrics and trims. We’re using Bluesign approved fabrics, but it’s not our main story. We’ve instead been pushing product leads, and we want to innovate in ways that have better user experiences. And the user experience, like Hydrastash and the SMARTY pant, they both solve a problem. We are really into doing something that’s unique to who we are. Brent: Hydrastash definitely has an eco overtone to it. It’s the same as using reusable water bottles. And we’re using recycled Primaloft in all of our Primaloft jackets. And like Mike said, with recycled trims, using Bluesign approved fabrics, etc. So we are working our way towards being more eco. We’ve just kept it low key at the moment because we’ve been telling other stories. But, we definitely have a lot of eco friendly things going on. And it’s the same thing with our factories; consolidating shipments, shipping anything we can by boat. We’re not airing things overseas. We’re also working on a lot of internal things working on the 2021 product line and further into the future that we are looking at much more eco friendly type solutions. It’s a part of every decision we’re making right now. And you guys have a lot of collabs for 19/20? Mike: I don’t like to do the same thing that everyone else does. We started collaborations almost 19 years ago. No one was doing collaborations. And people asked “Why are you collaborating with that brand?” People just didn’t get it. And I think that’s what we want to do. We want to get a reaction and open people’s minds. We actually took a break on collabs for about five years because I think there’s a point of no return when you collaborate so much you dilute the message. Let’s finish off with a bit of chat about the trade show model. I know you’re involved with SIA. What’s your view on this trade show model (Shops 1st Try) versus the bigger, international trade shows? Whereas at on snow demos you’re actually, demoing, clinicing, doing it. I love that. We need to be closer to markets. We need to do better. We need to use technology. We’re so stuck. I think the winter mentality is “Well, it worked for me. It’s okay. I don’t want to change.” So, I think that these on snows are great. Everything is regional nowadays. As much as we want to bring things together, regional and locality is not going to go away. So, we support that a lot.